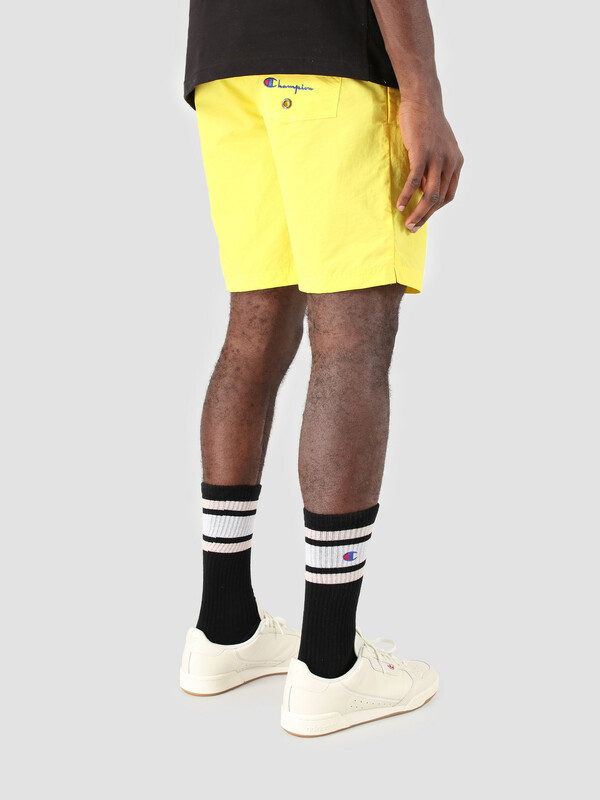 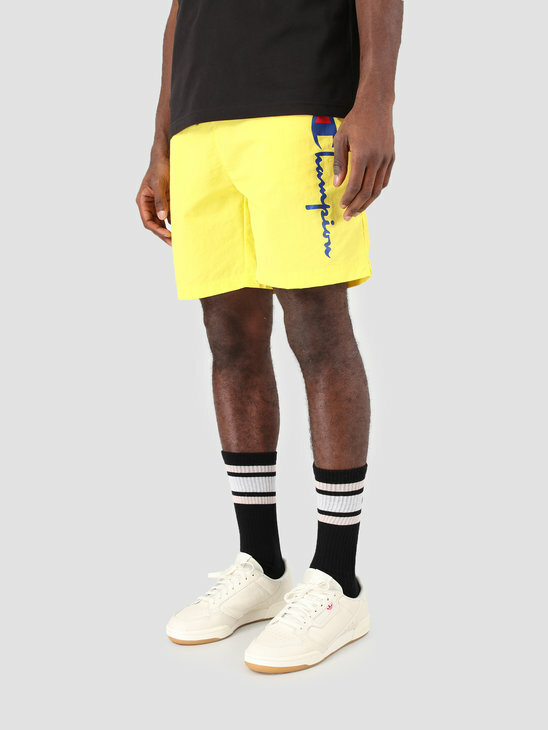 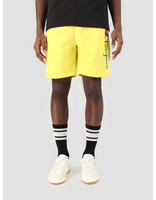 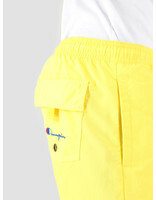 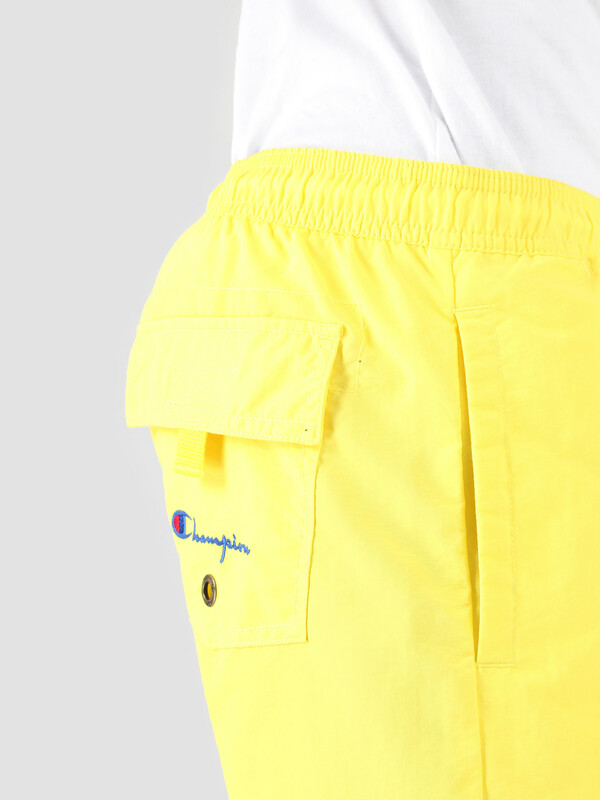 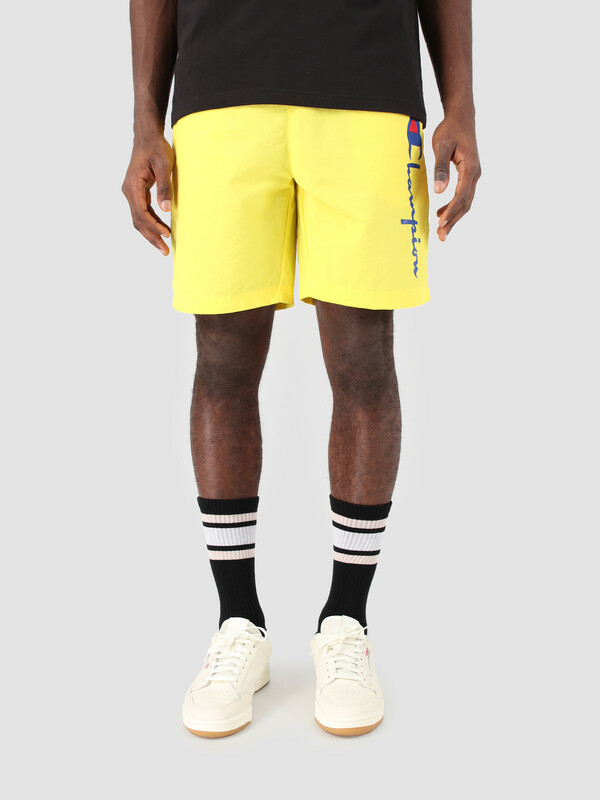 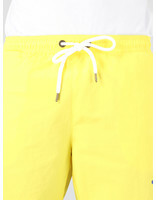 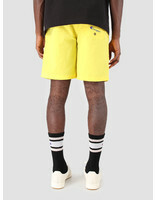 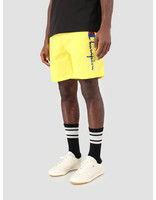 Champion Beachshort in yellow. 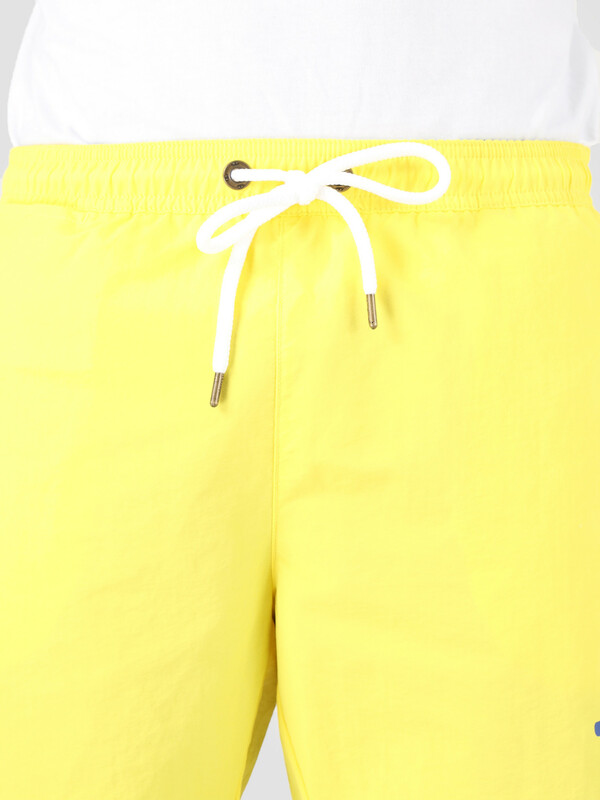 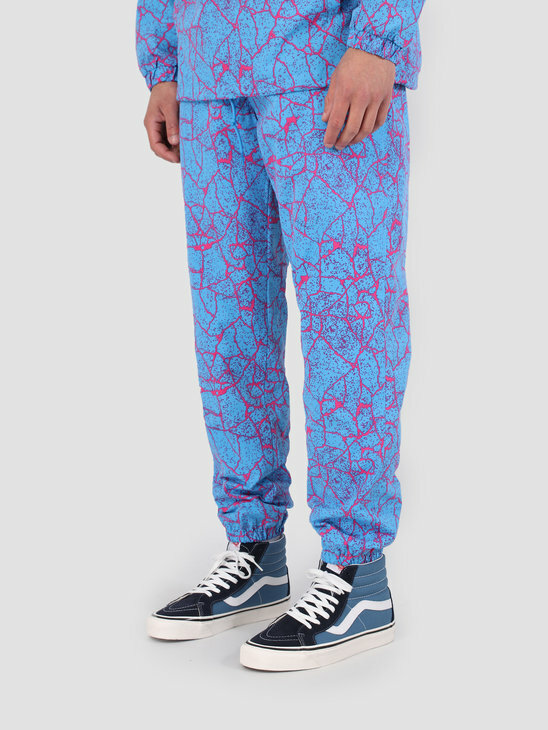 Hit the pool or beach in these swim shorts. 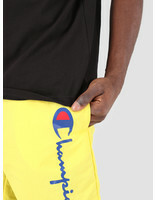 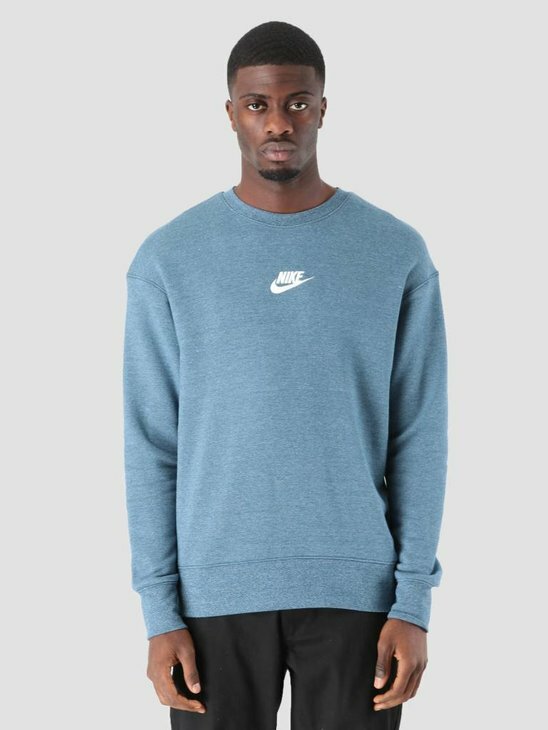 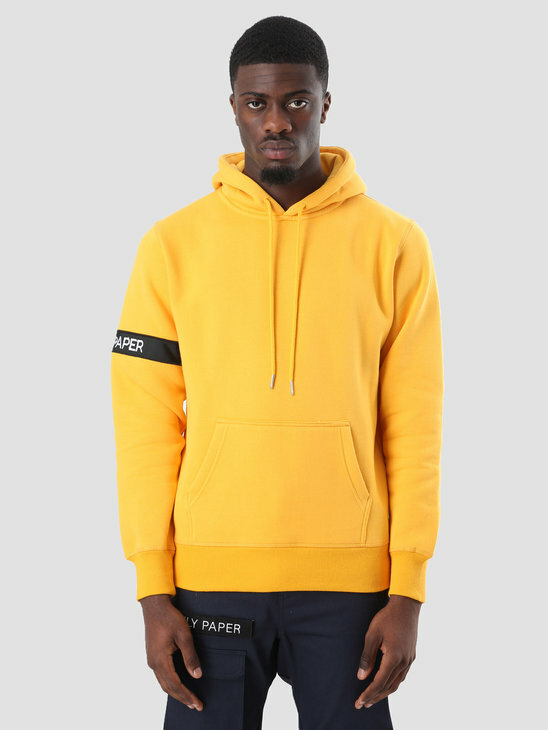 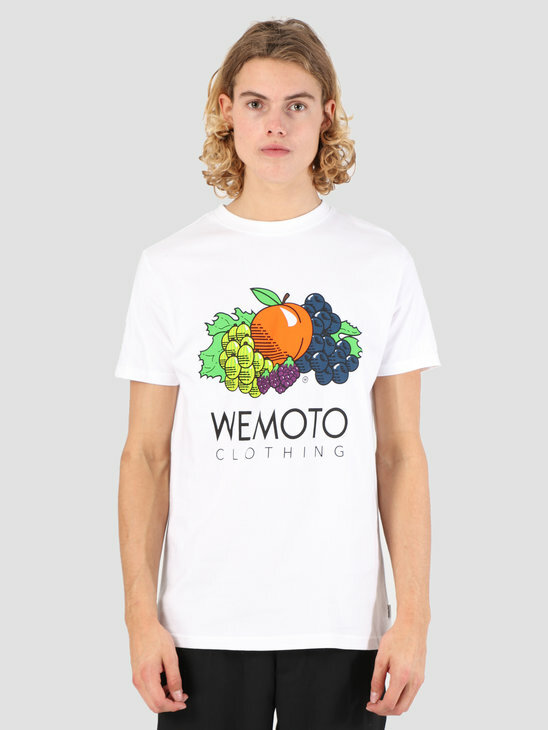 Features a big Champion logo on the front and two side-entry pockets. 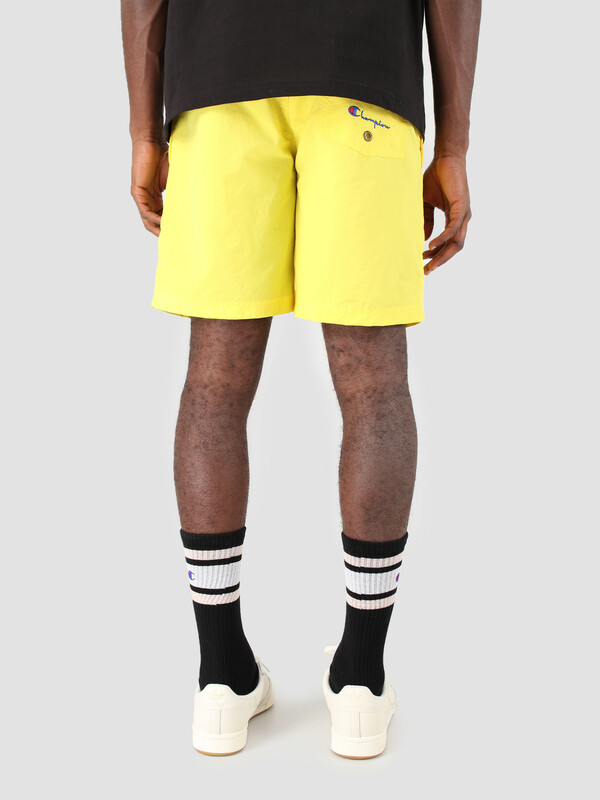 Finished with an embroided pocket on the back and an adjustable drawstring.